The loon eyes are supposed to be red, but I thought that was creepy, so I used white. (I tried black for the baby loon, but it blended too much with the gray.) The baby loon is so small, it was a bit tricky to place the eye. I ended up putting it a row higher than given in the chart, otherwise it seemed to resemble a tiny mouth. I love how the water ripples blend into each other all around every side. Lovely touch! 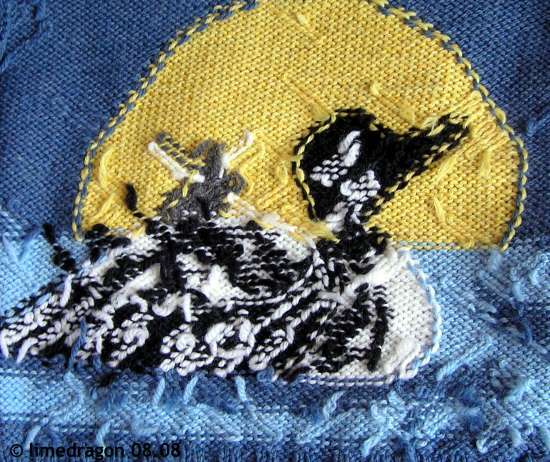 When duplicate stitching the feathers, I followed the chart part of the time. I thought it was a bit heavy on the verticals, especially in the top white area, so I spread them out a little bit. As previously mentioned, I substituted a 2×2 rib for the 1×1 rib given in the pattern. 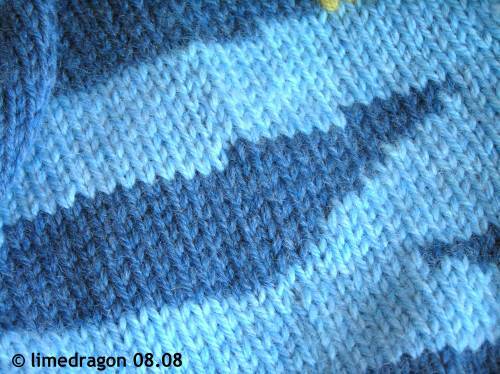 I also didn’t use a folded, double-layer collar, simply binding off after just over a inch length. Congrats! Beautiful work…I agree about the eyes! 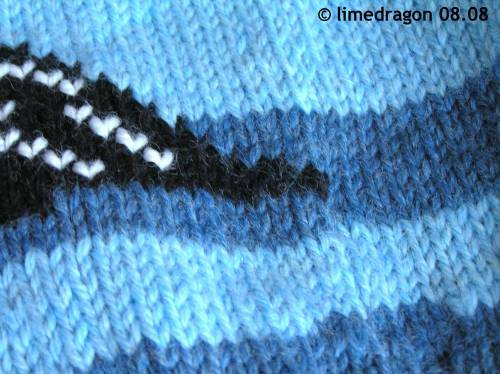 Ooooh, look how brave you are… showing the insides of the colorwork! Nice work! 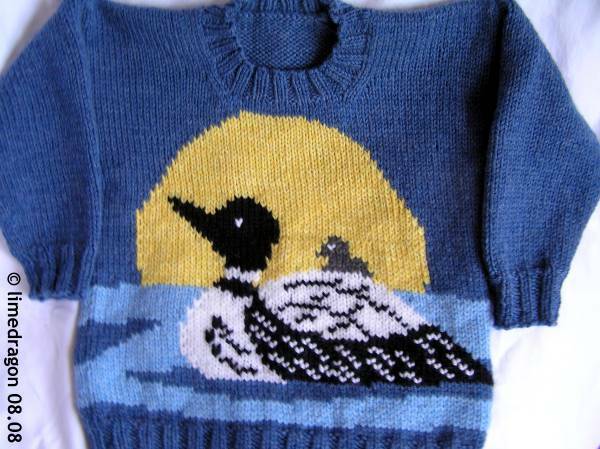 Loon eyes ARE red, but I can see how it might be creepy on the sweater. That is such a cute sweater! I think you were very right about not using red for the eye. Hey, congrats on your entries at the State Fair this year. Good work! Wow! Good ideas with the adaptations. Impressive. Congratulations! I love the loon!